Posture - a word that is all too familiar but yet not practiced enough. You’ve heard all about the importance of posture since you were little. Your mom constantly told you to sit up straight or not to slouch because you’d get “hunchback.” While plenty of us have heard of posture, most of us don’t understand the importance of posture and the benefits good posture can have on your body both physically and mentally. It’s easy to let yourself slouch throughout the day, but every so often, something in your body alerts you to sit up straight, put your shoulders back and pop your chest out. That’s your body’s natural way of telling you that your posture needs some work. By implementing a few tips and tricks throughout your day, you can start to improve your posture. The human body isn’t designed for sustained periods of sitting. If you’re someone who works 9 to 5 at a desk, look into health-conscious options like a standing desk. Sitting at a chair all day will slow down your body’s metabolism. Standing allows your body to remain active as opposed to sedentary. Standing reduces your chances of developing health ailments such as obesity and cardiovascular disease. Standing office desks allow the body to stretch and stand tall to burn more calories during the workday and to let blood circulate more efficiently, which increases productivity and improves your overall energy and posture. Not everyone has the time to exercise, but even just 30 to 45 minutes a few times each week can drastically improve your health. Exercise increases your metabolism and encourages the body to naturally burn fat. Exercise can also reduce your risk of cardiovascular disease. Most people who take an interest in exercise eat better and make more health-conscious choices, like consistently making time to exercise four or five times a week. Adding exercise to your day can strengthen core and back muscles, reduce tension and relieve stress, all of which can help you stand tall more naturally throughout the day. If you already feel the downside of sitting at a desk all day, exercise can perk you right up! If you can’t find the time to exercise, stretch. Stretch in the morning and stretch at your desk in the middle of the day and before you go to bed. It’s not as time-consuming as it sounds, and more often than not, you’re already stretching if you’re idle at a desk all day and slouched over. Stretching allows you to focus on your breathing and to listen to your body about what areas are causing you discomfort or pain. Stretching can release tension caused by tight muscles and help you stay balanced. The best thing you can do when you tense up while sitting down is sit up straight. Take a deep breath in. Drop your shoulders. Stick your chest out. Rotate your neck and roll your shoulders. Tighten your core and breathe out. When you’re at home, lay on your back and try to lay flat on the floor without letting your lower back arch off the floor. If your arch is off the ground, your posture needs work. Stick one hand behind your back and practice laying flat enough to “crush” your hand. This will help realign your lower back, strengthen your core and reduce tension and pain in your back. Stretching will do you good and help you improve both your posture and your overall mood. Spending large amounts of time on the phone can cause your neck to get out of whack with your back if you’re constantly leaning toward one side to hold the phone. Staring down at your phone as you scroll through social media apps also causes your posture to be thrown off. Make a conscious effort to sit tall and keep your ears in line with your shoulders to straighten out your neck. You’ll feel the benefits of your posture improving if you practice this throughout the day. Don’t allow yourself to sit for long periods of time. Take 10 to 15 minutes to stand up and walk away from your desk. Let your legs stretch out and and get your blood circulating. Sitting for long periods of time can throw off posture, decrease blood flow, weaken abdominal muscles, weaken bones and actually decrease life expectancy. If you’re in an office building with multiple levels, walk up and down a few flights of stairs to wake up your body and improve your posture. You might read this and think to yourself, ‘I already do.’ But do you really? When you walk, you should be evenly distributing your weight between your feet. Foot posture is equally as important as back posture. Your feet take you everywhere. Flat feet can cause the ankle and knees to roll inward, and this will affect hip joint movement, which affects pelvic bone posture and ultimately affects your lower back posture. It’s all connected. Bad lower back posture causes you to slouch, throwing off your whole structural balance. Foot posture helps improve back posture and makes exercise easier. Foot posture can be improved by wearing shoes with proper insole support and practicing standing tall and straight with both knees facing forward. 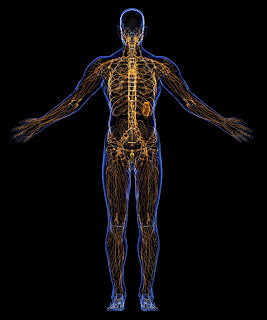 Your body's structural balance and alignment are important. Good posture reduces back pain, reduces headaches, increases lung capacity, decreases muscle fatigue and aches, improves circulation and digestion, improves core strength, and reduces the risks of arthritis and cardiovascular disease. Not only does good posture have physical effects, but it can also improve mental health as it offers increased energy levels and self-confidence emanated by standing up straight and walking tall. The benefits of good posture will do your body and mind wonders. Self-care certainly includes improving your posture. Poor posture can impact the body significantly and cause you daily discomfort and pain. Making a more conscious effort to implement little exercises and practices in your workday can have long-term benefits to your overall health - so go ahead, stand up a little straighter now! If you have a loved one who needs help with walking, a physician, physical therapist or caregiver may suggest a walker or rollator. So what's the difference between these two options? And which one is right for your loved one? Let's explore various types of walkers and rollators and check out the specifics of each that will help make choosing between them an easy decision. A walker is a metal or aluminum frame with wide feet that can offer balance when walking. Walkers are used by people going through rehabilitative services or recovery services after a fall or to help with stabilizing gait. Walkers can offer different options, such as one with no wheels on it or with two front wheels to help move the walker forward. Having two wheels ensures the person doesn't have to lift the walker with each step. Rollators are similar to walkers, but there are a few key differences. They may have four wheels on the base. They may offer an optional seat for the person to sit down. Other features may include a basket under the seat or attached to the front frame to help with carrying things. Rollators may feature a brake to stop the rollator from moving forward. Brakes can be helpful if the rollator starts moving too fast. Features can vary, depending on the surface the rollator is moving across. Walkers are able to collapse for travel or storage, while rollators cannot collapse but may fit into most vans, ambulances or SUVs. So which one is best? This type of rollator includes four wheels measuring 6 inches in height. The caster wheels have loop locks. The rollator uses hand brakes. It comes with a seamless padded seat with a zippered pouch underneath. With this rollator version, the two front wheels are 10 inches tall and the two rear wheels are 8 inches tall. The frame folds side-to-side for easy transport or storage. This rollator has brakes with hidden brake cables inside the frame tubing. Walker wheels typically have a standard 5-inch height that easily rolls across hardwood, concrete and marble flooring as well as roads. Walkers may be difficult to maneuver in grass or on the sand. Hence, rollators can offer more stability over uneven surfaces like breaks in concrete or cracks in the sidewalk. 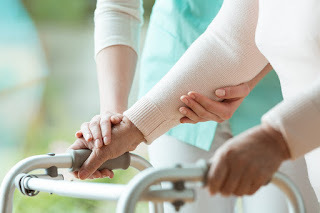 There are different types of walkers and rollators that can help your loved one be mobile. Talk to his or her health care provider for the best options. Also be sure to let your relative test out different walkers and rollators. Try a variety of surfaces to ensure he or she is comfortable with the walker or rollator. The more the person is out and about walking, the more he or she will gain increased confidence over time. 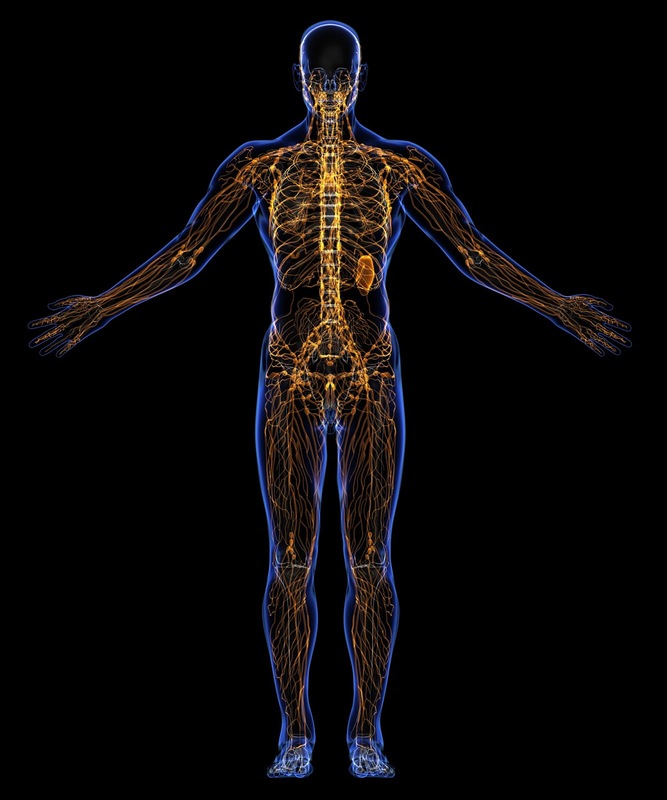 Reach out to us here at MMAR Medical with any questions! We use our hands and wrists countless times a day. Practically everything we do involves these important appendages - and we don’t usually give it much thought. That is, until we start to feel discomfort or even pain. Then, we suddenly realize how critical our hands and wrists are and the issues that arise when we’re not able to use them as usual. It’s no secret: Typing on a keyboard all day isn’t great for our wrists or hands… or our bodies in general, for that matter. Carpal Tunnel Syndrome is a common effect of this repeated motion, but there are other conditions it can lead to as well, such as Repetitive Strain Injury. In today’s world, a growing number of us are plopped in front of a screen all day. Even while away from our desks, the increasing use of mobile devices also harms our joints as we try to carry on with the day’s activities and juggle our phones, sending that quick text or scrolling through our feeds. 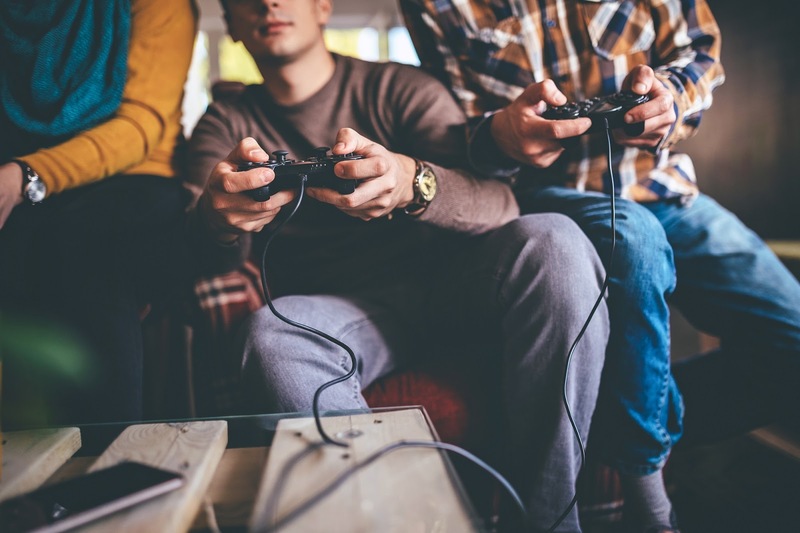 Similar to the repetitive motion of typing at a computer, video gamers are also prime candidates for hand and wrist ailments. 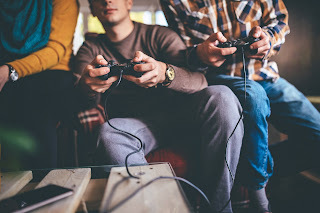 While gaming may be your means to unwind, your hands are working hard to get you to the next level - and you may be paying a high cost for it. While many sports don’t require the use of hands or wrists, there are also many that do - and repeated exposure to that same movement can lead to serious issues. For instance, swinging a tennis racket or a golf club (a full game of golf has upwards of 80 swings - if you’re lucky - plus, all your practice shots). You’ve probably heard of the condition “tennis elbow,” but that constant swinging motion can lead to problems for hands and wrists, too. Even the downward dogs and planks of yoga can strain the wrists. In what seems like a backlash to society’s increasing screen time, there is a rising popularity in creating things by hand. Whether it’s baking a loaf of bread or building a piece of furniture, the desire to create something physical is rising - and is a welcome respite from hours by the computer. But if your craft involves repeated motions with your hands and wrists (and is something you partake in frequently) you could be at risk for developing hand or wrist problems, too. Now that you know what to look out for, you’re probably wondering what can be done to alleviate the risks of hand or wrist injury - or the symptoms if you’ve already got issues. You’ll want to take frequent breaks from whatever activity puts you at risk. If you work poised by a computer, stand up every 25 minutes and do a few wrist rolls. If you spend hours gaming each evening, walk around the room between levels and wiggle your fingers. If you are already experiencing symptoms - or perhaps have been injured previously - a wrist or hand brace is probably a worthwhile investment. You’ll want to select one that applies gentle compression without preventing movement. 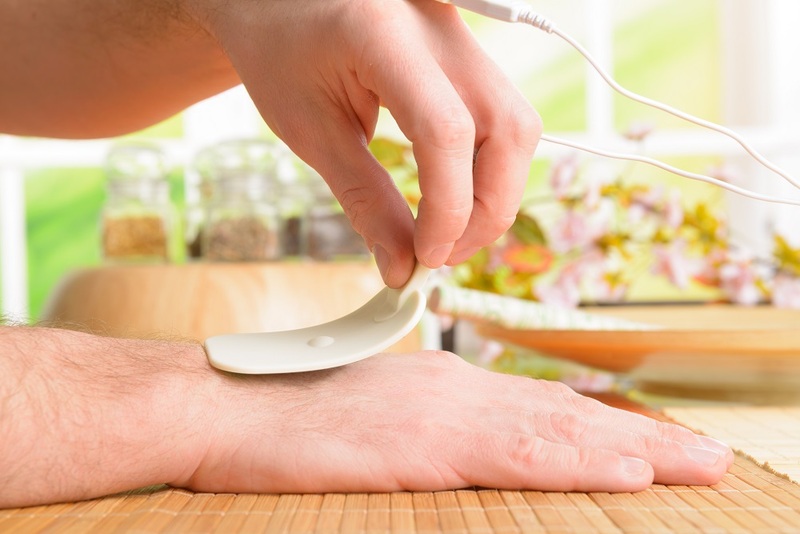 There are a number of high-quality options out there, such as MMAR Medical’s selection here, whether you’re looking for the best wrist support for general use or something more specific. Do you have hand or wrist problems? If you like, feel free to share your experiences with us in the comments below so we can learn from each other. Foot drop is a condition that is caused by one of several different disorders. People who suffer from this condition have gait abnormalities because the forefront of their foot drops while they are walking. The condition may be temporary or permanent. Whether it affects one or both of your feet, drop foot often causes the front part of the foot to drag when walking. Treatment for foot drop varies depending on the cause of the condition. In addition to available medical treatments, there are several foot drop exercises that can help to strengthen the affected foot. It’s important to openly communicate with your doctor about the course of treatment that may be best for you, and be certain to follow all of the recommendations that you are given. Before starting exercises for foot drop, be sure to obtain permission from your doctor. These exercises will help to strengthen the foot muscles that are involved in lifting the front portion of the foot. All of these exercises can help to strengthen the muscles that control basic functions of the foot’s movement. This exercise helps to strengthen both the muscles in the feet as well as the calf muscles. To perform this exercise, stand up straight on a flat, supportive surface. Raise your body up on your toes and lower it back down again. Repeat this exercise for one set of 20 calf raises to start; then build up to completing two sets. Foot stretches help to strengthen the muscles that surround the front of your foot. To do this exercise, sit on the floor or on a yoga mat with your leg stretched out in front of you. With a long towel, loop it around your affected foot and pull the top part toward you while keeping your leg straight. Hold for five seconds and then relax your foot. Repeat this exercise 10 times. To perform toe flexes, sit on the floor with your legs stretched straight out in front of you. Place your hands on the floor on either side to provide you with some support, and raise one leg. While your foot is slightly off the ground, bend it towards your body. Hold this position for five seconds before relaxing. Repeat this exercise 10 times per leg. Sit in a chair that has arms on it and brace yourself by holding onto the arms. With your knees straight, raise your legs straight out in front of you until they are parallel to the floor. Point your toes toward your body and hold the position for five seconds. Repeat the toe curls 10 times per set, completing two sets of the exercise. Place a small ball or towel in front of your chair, and sit in the chair. While you are seated, take your barefoot and try to grab the ball or towel with your toes. Try to lift the object as high as your knees if you are able to do so. Do two sets of 10 repetitions each of this exercise. Foot drop can be caused by a number of different conditions and may affect your ability to walk properly. If you think you might have foot drop, make an appointment to see your doctor to obtain a proper diagnosis and treatment. Ask your doctor if it is okay for you to perform these simple exercises at home. If you are given permission by your doctor, these exercises will help to strengthen your muscles so you might be able to walk more normally. Do you have foot drop? Are there any foot drop treatment exercises that have helped you? Share your experiences in the comments below! Foot pain can be caused by a wide range of issues, from running a marathon to playing a squash tournament to traversing through your garden. Regardless of the source of the problem, it is always debilitating to some degree; most of us rely pretty heavily on our feet to get us around. The good news is that the majority of foot problems can be treated – and sometimes, it’s as simple as getting insoles for our shoes. In this post, we’ll cover different types of insoles and what you should consider for each one. Orthotic insoles offer the highest level of support and are designed with a rigid or semi-rigid support plate. Whether you’re looking for prefab or custom-made orthotics, this type of insole focuses on supporting the foot’s arch and heel, providing a natural form for whatever activities your day may bring. While orthotic insoles usually take some time to break in, the benefit will certainly outweigh any initial discomfort. These insoles help eliminate strain on the plantar fascia, which runs along the bottom of the foot from the heel to the forefoot. If you have arch pain or plantar fasciitis, an orthotic arch support is worth a shot. This insole is also ideal for anyone suffering from over-pronation or supination. If you’ve never had an orthotic insole before, starting with the semi-rigid option is recommended as the rigid support is almost completely stiff. Either way, you can break in your insole by wearing it for a couple of hours every day for the first week, and slowly increasing the duration from there. If you still experience discomfort after several weeks, you might want to consider another insole. If you’re looking for a softer insole option, cushioned arch supports may be what you need. Unlike the rigid support offered by orthotic arch supports, cushioned insoles are entirely padded to provide your foot with lots of cushioning. Foot fatigue is the most common ailment that this padded support can relieve. Shin splints are another common injury that cushioned supports can alleviate. These insoles are also perfect for anyone on their feet all day, whether or not they have foot problems. When you buy a new pair of kicks, there’s usually a thin sock liner along the inside of the shoe. This insole doesn’t actually provide any support but just offers a lining for your footwear. Replacement insoles are available in whatever material suits your preference – but you won’t necessarily be doing your foot any good with this option. As you assess what type of insole you need, keep in mind the shape of your foot – is it narrow, wide, long, short? Sizing usually follows your shoe size, but each insole will have its own variations, so be sure to read through the product description – and reviews when possible – to be sure you’re getting the right fit. Also consider the arch of your foot. Do you have high arches, neutral arches or flat feet? Wearing an insole that’s not designed for your type of arch will likely be painful, so be sure you’re looking at the right one. If you don’t know what kind of arches you have, try looking at your wet footprint. If you don’t see a trace of the arch in the print, you probably have high arches; alternatively, if you see nearly the entire outline of your foot, it’s likely that you have flat feet. Getting the low or high arch support you need can make all the difference. Get back to the mobile activities you love in no time with a supportive insole. And even if you haven’t reached the point of immobility, if you’re experiencing any type of foot pain, an insole may be a simple solution before it gets worse. Do you already use an insole? What are your tips for insole shopping? Feel free to share in the comments below! When was the last time you did nothing? Literally, you weren’t doing anything at all. In today’s fast-paced society, idleness seems to be a thing of the past, like CDs and The Brady Bunch. Instead, we’re constantly rushing between appointments we’ve got booked on our calendars and soaking up information on our handheld screens in the “off” moments. Being busy has become almost an indicator of success – the busier, the better. That busy-ness offers plenty of opportunities. But it also comes with stress. 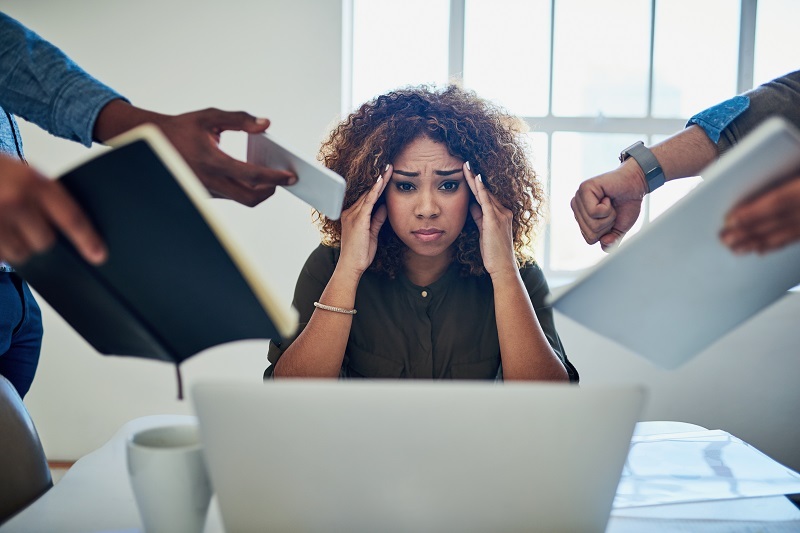 In 2015, 24 percent of American adults reported experiencing extreme stress, a 6 percent increase compared to the previous year. Similar stress statistics follow suit: They’re on an upward trend. While we may not be able to stop the trajectory of our fast-paced society, we can control how we react to it. And there are a number of techniques we can use to help relieve the stress we feel. Read on for a few of the top ones! One way to reduce stress is by exercising. When you exercise, your body releases chemicals in the brain that act as natural painkillers (also known as endorphins). Exercise also helps reduce fatigue and improve alertness, concentration and overall cognitive function, which can do wonders when stress has depleted your energy. Whether your preferred means of physical activity is walking, surfing or yoga, your body will benefit from it, and so will your mind. It seems so simple, but many of us don’t set aside the time we need to actually relax. Find an activity that helps you relax, such as meditation, knitting or listening to music, and schedule regular times for it. Making these activities a part of your routine will decrease the chances of you forgetting about them. Just like you wouldn’t miss a doctor’s appointment, hold yourself to the times you plan to unwind. Decide what you need to accomplish in your day and what can wait. Then, give yourself permission to hold off on the things that can wait. Yes, that person might not get a response to their email until tomorrow. And that load of laundry won’t get washed just yet. But you’ll get around to them in good time. And your mind will be more relaxed for it. And while we’re on the topic of prioritizing, know when to say “no” when you feel overloaded. It can be difficult, but those two small letters can do so much for you, both body and mind. Saying yes to everything usually means you’re spreading yourself thin – and that’s not going to be good for anyone. Connect with people you enjoy spending time with. Whether it’s a short walk with a neighbor at the end of the day or a 15-minute phone call with a friend far away, connecting with people in your life will help alleviate stress. These people are a support network you can turn to in times of difficulty, perhaps to vent or maybe to bring over some food when the going gets tough. Procrastinating means you’re in a constant scramble. By putting things off, you’re keeping them in the back of your mind with the knowledge that they need to get done at one point or another. By the time you get around to doing the task, it’s usually not half as bad as the anticipation that’s been building from all that procrastination. Organize your tasks with realistic deadlines and maintain focus when working toward those deadlines. This will prevent things from building up and reduce your overall stress levels. 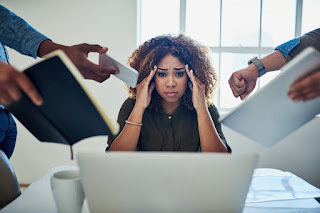 Stress can be all-encompassing – when we let it. By constantly working to reduce stress, we bring ourselves closer to happier, more fulfilling lives without getting hung up on the small stuff. Feel free to share your own stress management techniques in the comments below!